We have a large, 1800 square foot HO scale main layout permanently housed at the Murphy Automobile Museum in Oxnard, California. We operate exclusively with an NCE DCC system. 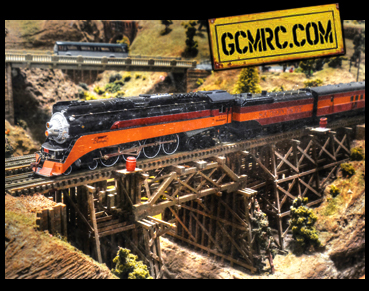 We are a freestyle club (we don't model any one railroad or era), with an emphasis on having fun. It is a work in progress. We are slowly expanding track, adding industries and physical features. A second level is planned. We would like to try operations soon. We are looking for train fans of all ages, interests and abilities who would like to participate in the building of a large HO scale layout. Go to the Directions page for directions to our club. Our Calendar page will keep you current with what we are doing, our meetings, events, run nights and work nights.